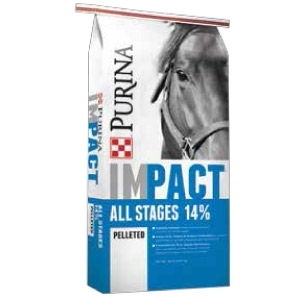 14:5 For performance and breeding horses, as well as growing horses 18 months and older; to be fed with medium to high quality hay or pasture. The 5% fat adds energy, supports healthy hair coat and performance. For more information on this and other Impact® products click here.